The Tactical Self Defense Flashlight Torch is a flashlight that doubles as a self defense weapon and panic button. 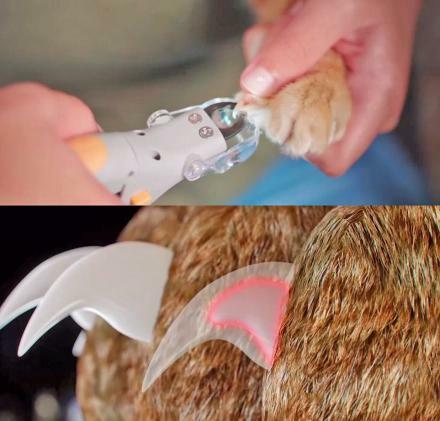 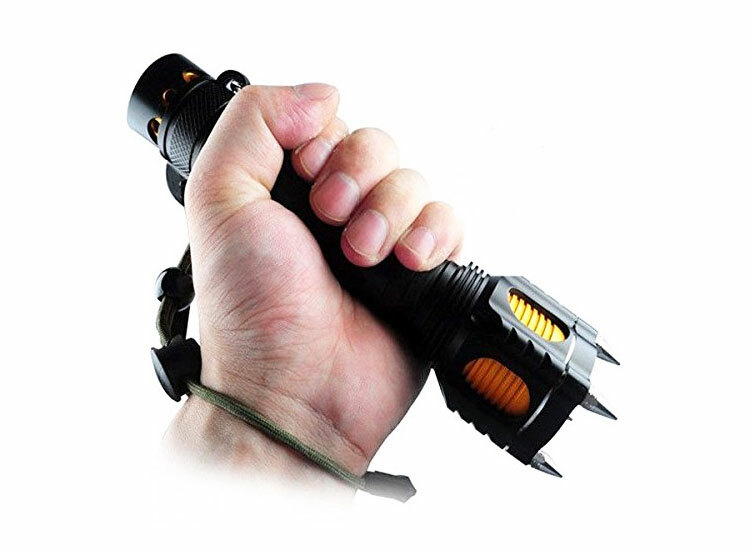 Not only does the flashlight shine a super-bright light to help you see the person's eyeballs that's attacking you, but it has spikes on the end of the light so you can stab them in the eyes, torso, legs, or wherever you feel like getting stabby. 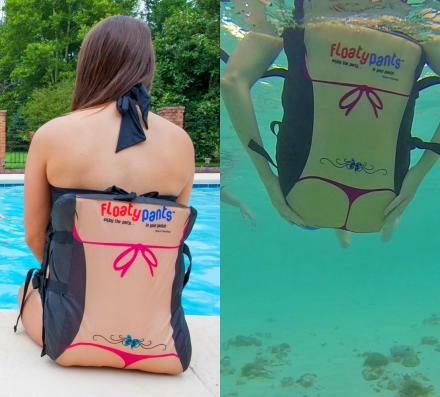 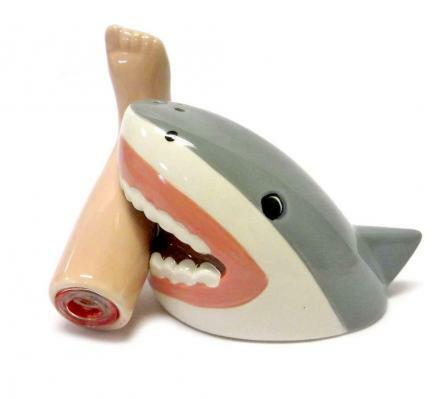 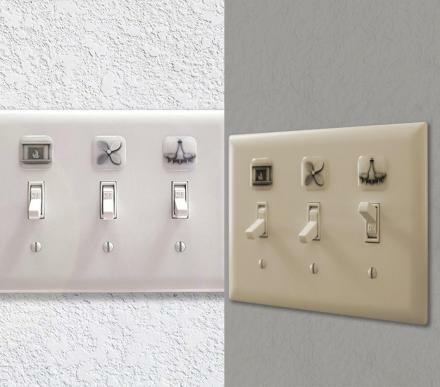 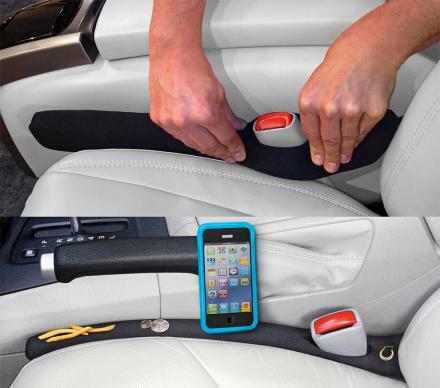 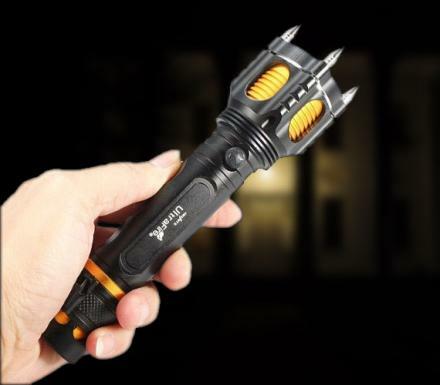 Plus it has a panic alarm on it that will sound off a super loud alarm that will most certainly fend off most rapists, murderers, thieves, and dog snatchers, that is unless they're deaf, in that case, just stab them with your flashlight. 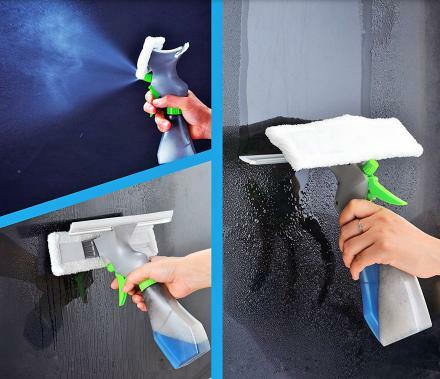 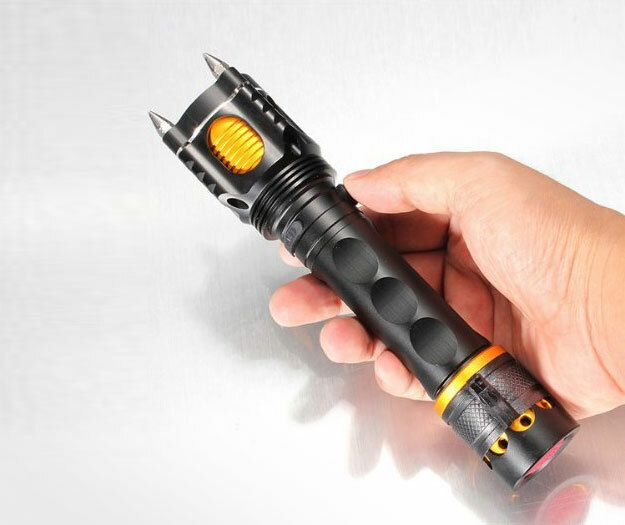 As long as you have this self defense flashlight weapon, and your wife or buddy is holding the baseball bat flashlight, your intruder won't stand a chance. 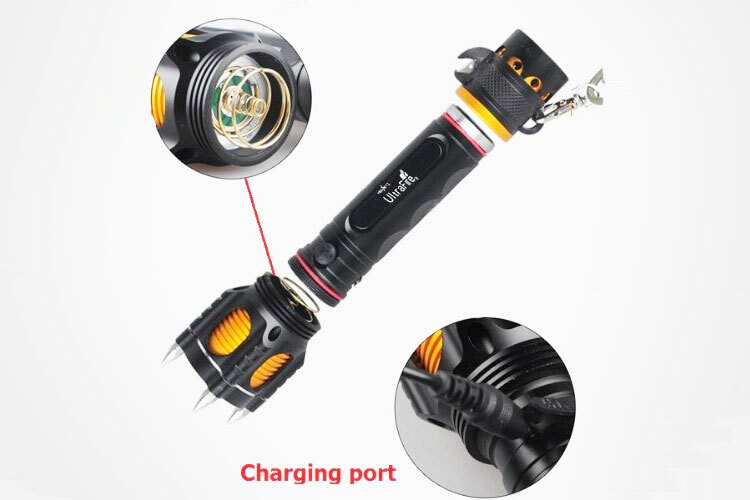 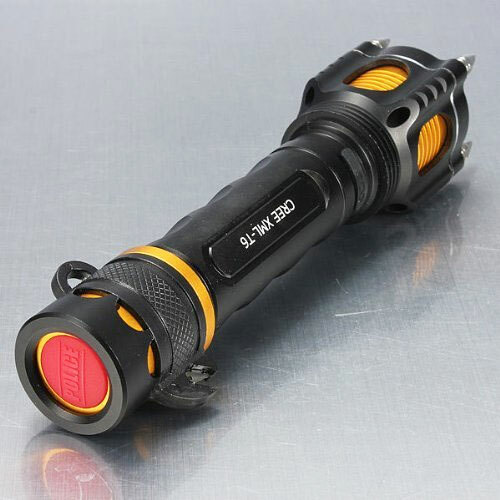 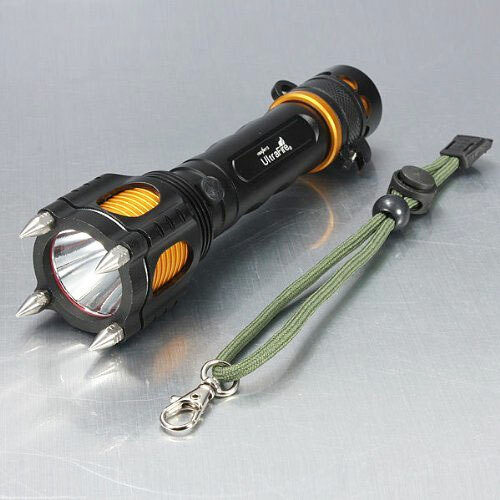 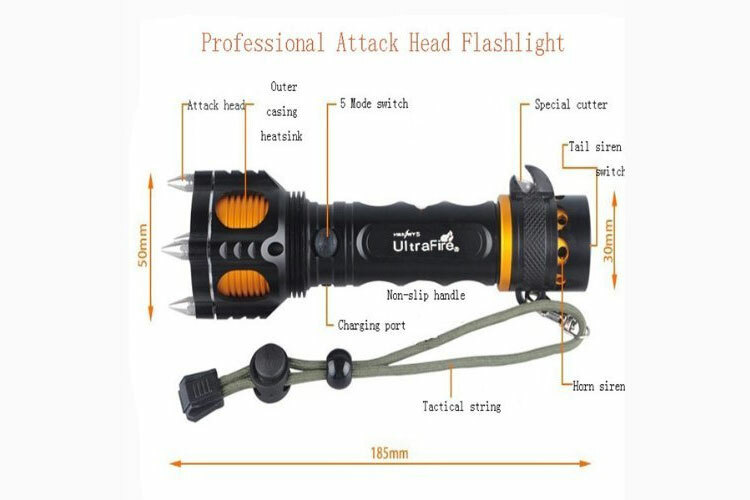 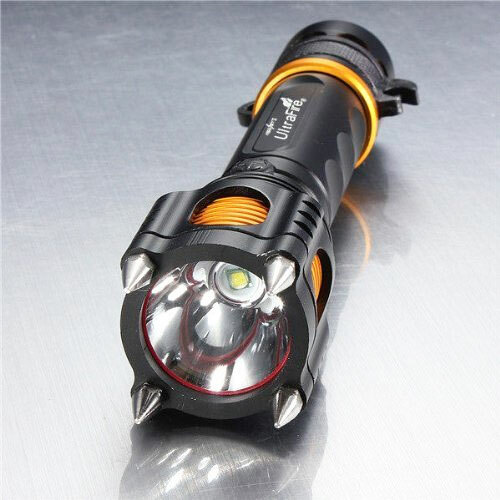 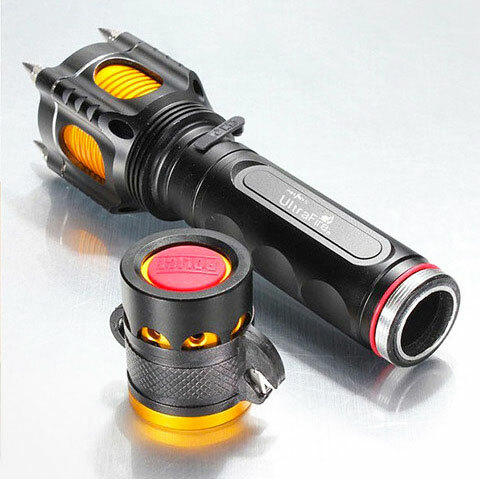 The self defense flashlight with spikes is made from aluminum alloy with a coated glass lens, should be used with a rechargeable 18650 battery which is not included, has a clicky type on/off button, has a max of 2000 lumens, has 5 flashlight modes including: high, medium, low, strobe, and SOS, and measures 7.2 inches long x 1.1 inches in diameter on the narrow end and 1.9 inches in diameter on the end with the spikes.